New tutorial series, which consists of five main steps, all explained through videos. The goal is a real time chat application in a project made with Vue.js, Laravel 5.4 and Laravel Dusk. Each step consists of a video and the code for it. Step 1: In the first video of the series, the development version of Laravel is installed, and the new Laravel Mix is up and running, with rendering and Vue component example. 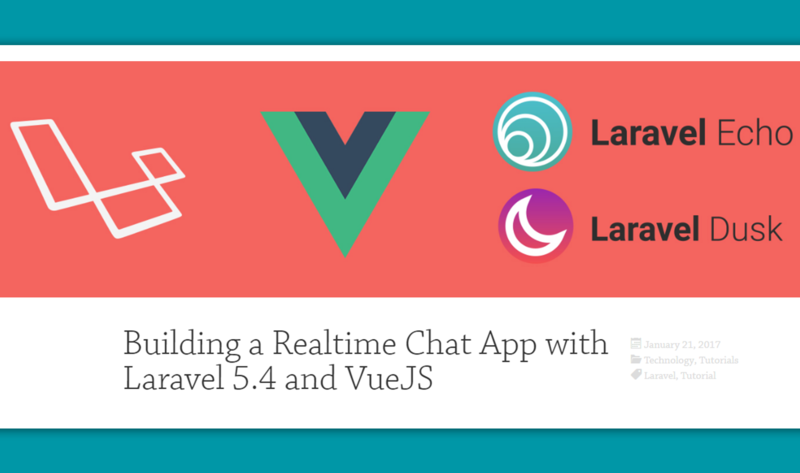 Start developing several Vue Components to create an interactive chat application. POST chat messages to the server and start loading messages from the server. It’s basic Laravel models and routes in this video. Chat app is connected to the server, but a refresh is required to see new messages from other people. This step involves setting up Event Broadcasting within Laravel and implementing Laravel Echo on the front end using Pusher. Testing the realtime chat application. Installation of Laravel Dusk, example tests, and the benefits of this sort of testing environment. See the code for this tutorial on Github, by Josh Larson.